A view of the ruins of Tintagel castle, built in the 13th century by English royals eager to strengthen their ties to legendary King Arthur, who was said to be conceived at the site. Luxury goods unearthed at royal stronghold show that Celtic rulers thrived at the legendary site of Tintagel. A recent discovery in southwest England is making headlines for its association with King Arthur, but archaeologists are hailing it as an incredibly important find regardless of any connection with Britain’s greatest legendary ruler. Excavations at Tintagel, a rocky promontory on the coast of Cornwall, have revealed evidence of massive stone fortifications and luxury goods imported from as far away as modern-day Turkey, all dating to a poorly understood period in British history that began with the collapse of Roman rule on the island around 400 A.D. The earliest mentions of a leader named Arthur in the historical record are tied to events that occurred between roughly 400 and 600 A.D., the period in which archaeologists believe the fortifications at Tintagel were built. According to an account written centuries later, the legendary king was conceived at Tintagel. 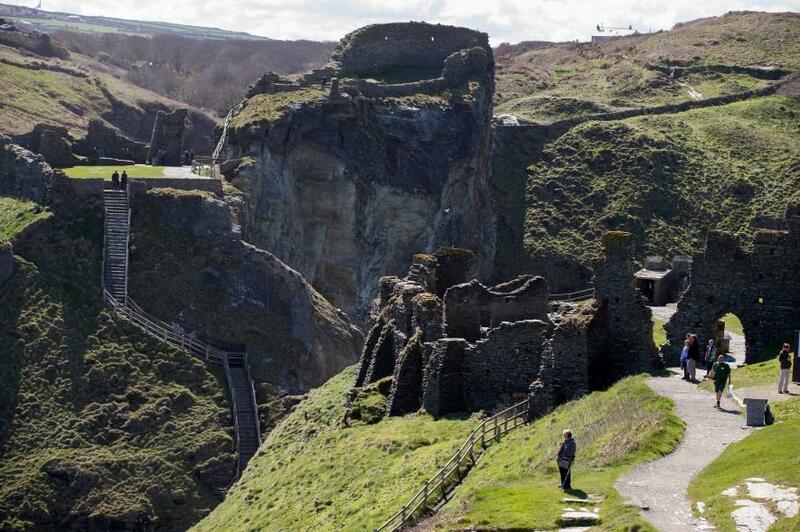 Over the summer, archaeologists at Tintagel have found evidence for more than a hundred buildings that most likely date from the fifth to seventh centuries A.D., a period when the site is believed to have been an important royal stronghold of the Celtic kingdom of Dumnonia. Initial evidence for the Celtic stronghold was first revealed during excavations in the 1930s. Unfortunately, the home of C.A. Raleigh Radford, lead archaeologist on the project, was bombed during World War II and the scientific results were never properly published. In the 1990s, archaeologists reopened Radford’s trenches at Tintagel and discovered fine ceramics and glassware from all over the Mediterranean world. Greetings and welcome to your perfect source for in-depth real estate information. Why? Because I have a unique set of skills to assist you in your real estate goals with a quality of trust and care far beyond just “service”. You too deserve the best. On the cutting edge of high tech home sales analysis and marketing technology, I assist you as your friendly tour guide in finding the home you love to buy or in selling your home in a successful and happy conclusion for you and your family. Together, we make this the very, very best for you. Take control, join me to become a truly winning team in realizing your San Diego real estate hopes. For more in-depth San Diego real estate info just shoot me an email or give me a call.